When most people think of October, they think of Breast Cancer Awareness Month because of the pink movement that has swept the nation. However, the Medford United Methodist Church makes it a point each year to remind people that October is also nationally recognized as Domestic Violence Awareness Month. According to the National Coalition Against Domestic Violence, a woman is assaulted or beaten every nine seconds in the United States. Originally evolving from one single “Day of Unity,” the idea for Domestic Violence Awareness Month turned into a week of activities conducted at the local, state and national levels to help domestic violence victims. In 1987, the first national domestic violence toll-free hotline was created, and in 1989, the U.S. Congress passed Public Law 101–112 designating October as National Domestic Violence Awareness Month. 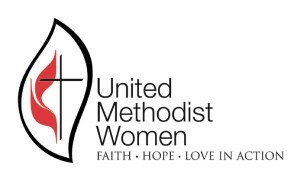 “Domestic abuse and violence still are the hidden secrets in many families, and more information needs to be offered so that others (family or friends) can offer resources to victims and then support their decision to leave,” said Tish Cornue, president of the Medford United Methodist Women Division. This year’s forum will be held on Oct. 21 and will feature a speaker from Providence House Domestic Violence Services and a local law enforcement officer who will discuss opportunities for church members and the community to become part of the Domestic Violence Response Team for the Medford area. Providence House is an agency offering comprehensive and confidential services to individuals and families impacted by domestic violence in Burlington and Ocean counties. Medford United Methodist Church will be hosting this forum that will begin at 7 p.m. The event will be free of any charge and open to any community member. Throughout the month, Providence House will be providing services that are free of charge for the community, including a 24-hour hotline, emergency shelter, individual and group counseling, advocacy and support in the courts, information and referrals, and a program called “PALS.” The “Peace: A Learned Solution” program will focus more on younger victims and help those children who have witnessed abuse firsthand. While the church is not providing any services, it will be offering a safe haven and will be hosting an evening in which professionals are providing information regarding opportunities to help victims of this “silent” issue. “Facilitating this type of a forum is only one of many outreach initiatives that reach into our community and beyond,” Cornue said. The other initiative the church is sponsoring is the “Dine for Dollars,” in conjunction with Illiano’s Cucina Mediterranea in Medford Taunton Forge Village. Each dinner provides a voucher, and Illiano’s then contributes $2.50 per order to a mission project of the church’s United Methodist Women’s choice. Each October, that benefactor is Providence House in honor of its assistance to those experiencing domestic abuse or violence.